The global vehicle inspection organization DEKRA SE, has named Eric A. Labe as its new president and chief regional officer of DEKRA North America. 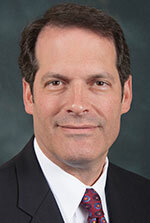 In his new position, Labe, of Huntington Woods, will work out of the company’s Detroit office and be responsible for all business and service units in Canada, Mexico and the United States. He will also join DEKRA SE’s global executive community, which consists of the company’s top 20 leaders from its Detroit office. Labe has over 20 years of senior management experience in manufacturing, professional services, healthcare, and safety management. He was previously the executive vice president at DEKRA Insight, where he managed global activities such as strategy, marketing, research and development, and more. He also previously worked as the senior principal practice leader at the Troy-based management-consulting firm Thomas Group, and was the general manager at Grand Rapids-based Bell Industries. Labe received a bachelor’s degree in materials and logistics from Michigan State University.